You may ask, why should I practice yoga? What can it do for me? You are right. Unless, you relate to it in a purposeful way, you cannot practice it. Yoga must mean something to you. Otherwise, why should you be interested? I may give you a long lecture on the significance of Patanjali's Ashtanga yoga, but before I complete it you may enter the natural state of maha samadhi, I mean deep sleep! Therefore, let me focus on what yoga can do to you right now, even if you have never practiced any yoga before. In this discussion, I will focus upon meditation (dhyna) which is an important practice of yoga. 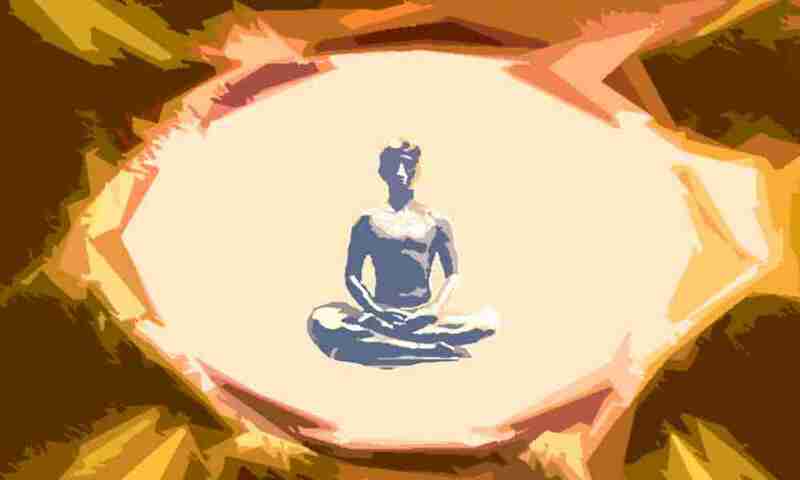 The Yoga Sutras of Patanjali lists several benefits of yoga. It also lists several miraculous powers (siddhis) that arise from its continued practice. Those who are adept in yoga tell you that you should never practice yoga for such benefits, because they can significantly change your destiny and lead you astray. Many people also practice yoga to overcome some physical or mental problems. Some people confuse it with a traditional form of oriental exercise. There was a time when people in the USA were sued for teaching yoga since some people genuinely felt that yoga induced insanity. The purpose of yoga is not driving people insane or building a beautiful body, but controlling the mind and its natural tendencies that cause disturbances and mental afflictions. It is a long process, and you see such benefits after a prolonged practice only. However, whether you have been practicing yoga for a long time or just started, the following are a few simple miracles that you can expect from yoga right now. You can practice them as easily as you eat your lunch or breakfast. However, you need imagination, willingness, readiness, curiosity, and an open, and positive state of mind. Uniting your mind with the body: Sit in a comfortable position either in a chair, or on a mat in a place where you are not easily disturbed. Take a few deep breaths and relax. Imagine you are sitting inside a huge golden bubble surrounded by positive energy. Focus upon your body and feel love and compassion for it. Express gratitude to it for it has been serving you so well. If you are feeling pressure or pain in any part of your body, send healing love and gently let that discomfort dissipate. Ask your body for forgiveness for any discomfort, pain or suffering you might have caused it through your habits and actions such as excessive eating and drinking. Now focus upon each part of your body from the toes all the way to the head and repeat the process, sending love, expressing gratitude, and seeking forgiveness. Wherever you feel you have hurt your body, focus upon that area and seek forgiveness. This practice will heal your body, increase your body awareness and make you feel more attuned to it. It will also make you more sensitive and responsible for its health and wellbeing. You can practice this exercise in as much detail as you can. You may also create your own recorded instructions to do it more systematically. Finding peace within yourself: Repeat the first two steps mentioned in the previous exercise. After you are fully relaxed, imagine that you are sitting inside a deep cave, which is very dark, but very clean, safe, and silent, filled with the sacred presence of God and divinities. With your eyes closed, visualize that you are able to listen to the sound of Aum each time you breathe in and each time you breathe out. Let the sound of Aum become one with the sound of breath in your mind. Now focus upon your breathing. Try different breathing patterns, short and short, long and long, short and long, long and short, breathe in through right nostril and breathe out through left nostril, etc., and settle with the one you find most comfortable. Once your breathing falls into a rhythmic pattern, imagine that each time when you breathe in, the golden light from the space around you is entering you and spreading into every part of your body, and each time you breathe out, the dark energy of negativity is escaping from your body and vanishing into the space around you. With each breath imagine that the natural aura of your body is glowing brighter and brighter until you are fully immersed in it. Now, slowly spread the feeling of peace into every part of your body, as it is immersed in the golden sheath of the aura. Practice it until you feel as if your whole body turned into a mass of golden light filled with silence. Allow that feeling to heal you for a while, before you slowly return to your wakeful consciousness. Becoming aware of your thoughts: Your thoughts and feelings are meant to help you, but not trouble you. They serve a definite purpose in your life. They let you know what is happening to you and whether you are making progress in the right direction. The following exercise helps you to cultivate friendship with your thoughts and feelings and become familiar with them. To being with, follow the first two steps mentioned in the first exercise. Relax your mind and body fully, taking a few deep breaths. Now, spend a few minutes observing your mind and choose any particular thought or feeling that catches your attention. Try to know why it is there, what purpose it is serving, what message it has for you and whether you experienced similar feelings before. Without trying to become too involved with it, turn your attention to another thought or feeling as it arises, and repeat the same steps. You can practice this exercise according to your convenience, as long as you want to increase your self-awareness and become familiar with your own thoughts and feelings, which you usually ignore as you are preoccupied with the external world. When you practice it, remember that all thoughts and feelings that you experience are your friends, benefactors, guides and messengers. They arise, not to trouble you, but let you know various facts about your own life and circumstances. Your task is to listen to them and act accordingly, rather than ignoring them or suppressing them. Connecting with your deeper awareness: You may ask, what do I mean by deeper awareness? Your deeper awareness is simply your witness consciousness or your non-judgmental observing awareness. It is what exists beyond your immediate thoughts and concerns. In that awareness you simply remain a pure observer in a state of being, rather than acting or reacting to the happenings outside. What is its use? It gives you respite from your active mind, brings clarity to your thinking and understanding, and refreshes you both mentally and physically. This awareness is always there deep within you. You do not notice it because you are too busy with your daily activities and your active mind, which the Buddhists call the monkey mind. To connect to it, follow the first three steps that were mentioned in the first exercise. Then imagine that you are one with the space around you and with the space inside you. Imagine that you are space itself and there is nothing inside your body except empty space filled with the golden light. Now focus upon the silence hidden in the space around you and let that silence enter your body and fill you wholly. With each breath also, breathe in as much silence as you can and fill your whole body with it. Continue this exercise, without trying to do anything other than letting the silence of the universe settle in your mind and body until you become a pure observer, detached from your body, thought, and judgment. Feel oneness with the space inside you and around you, and with the whole universe. Know that it is how the universe watches itself, in a state of utter silence, without reaction and judgment, and why the space never presses upon you but lets you in and be yourself. At the end of it, thank your inner Self and return to your wakeful consciousness. Thus, you can see that with some imagination and creativity anyone can practice yoga and test its beneficial effects instantly. If you are satisfied with the initial results, you can go to more trained and qualified yoga teachers to learn advanced techniques of calming your mind and body. With the help of these simple yoga practices, you can connect to your mind and body and rest your active mind. You can experience peace, becoming aware of your thoughts and feelings and learning from them. With a peaceful mind, you can journey into your own consciousness to enter the deeper state of beingness and choiceless awareness. What is the Highest Yoga?